Ever dreamed of taking your Horse on holiday? Imagine waking up to the sight of your Horse grazing in the paddock beside your cottage. At Tory Bush Cottages you will stay in cosy self-catering cottages located in a farm setting on the edge of Tollymore Forest Park, Bryansford, Co Down. You can choose from stabling or grazing for your own horse and if your looking to bring any other small pets they can come as well as two of the cottages are pet friendly. 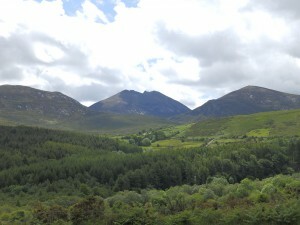 The cottages are located in the Mournes, Area of Outstanding Natural Beauty . There are several places of traffic free roads to ride to include Moneyscalp wood, Tollymore Forest park and Castlewellan forest park Hacks include the marked routes round over 1500 acres of Tollymore Forest with its clearly marked pathways and film location spots. 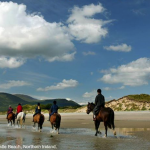 Longer hacks including the two Forest Parks, Murlough and Tyrella Beaches could take up to five or six hours. Packed lunches could be provided for these hacks. 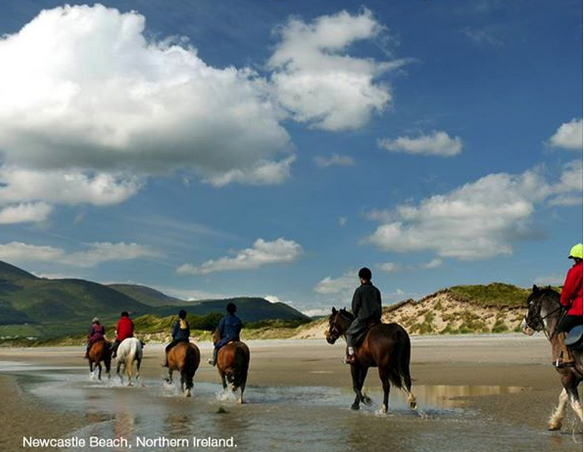 Why not enjoy a gallop along Newcastle beach. There are also local bridal paths that you can explore. We have OS maps for the slightly more adventurous types. There are lots of award winning gastro pubs in the area where you can enjoy an evening meal or a well deserved locally brewed pint. Alternatively you could BBQ in the evening back at the Cottages with the horses. As well as riding Tory bush is an ideal base for other activities such as Mountain biking, hiking and kayaking. 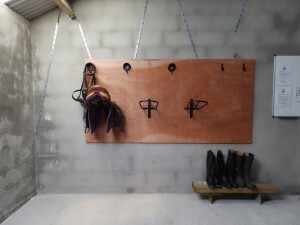 Equestrian facilities include 3 large newly built stables, including hayracks and water troughs. Wheelbarrows, mucking out forks, yard brushes etc. Emergency access to local vets, farrier and equine supply merchants. There is ample parking spaces for horse-boxes and trailers. Horse costs are £17 per night including hay. Stabling is generally DIY but if you want a real holiday let us do the hard work for you. 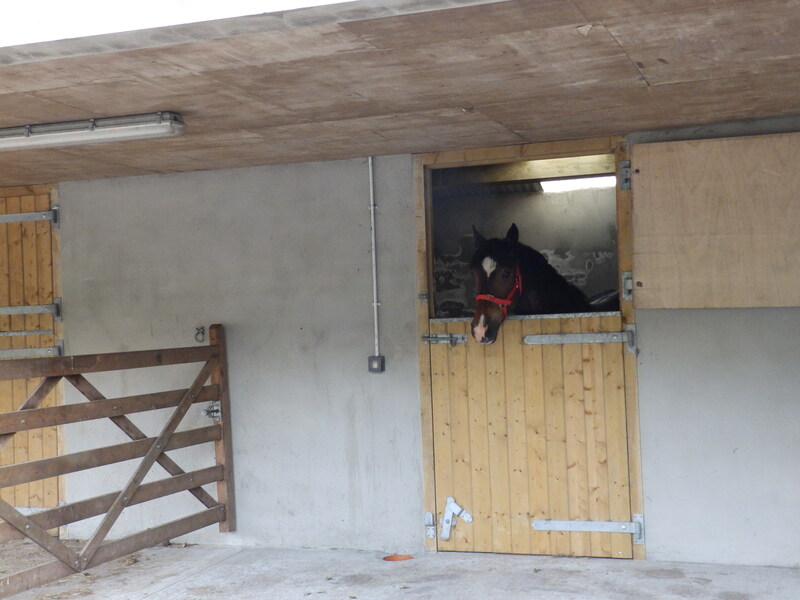 Full livery is £30 per horse per night. 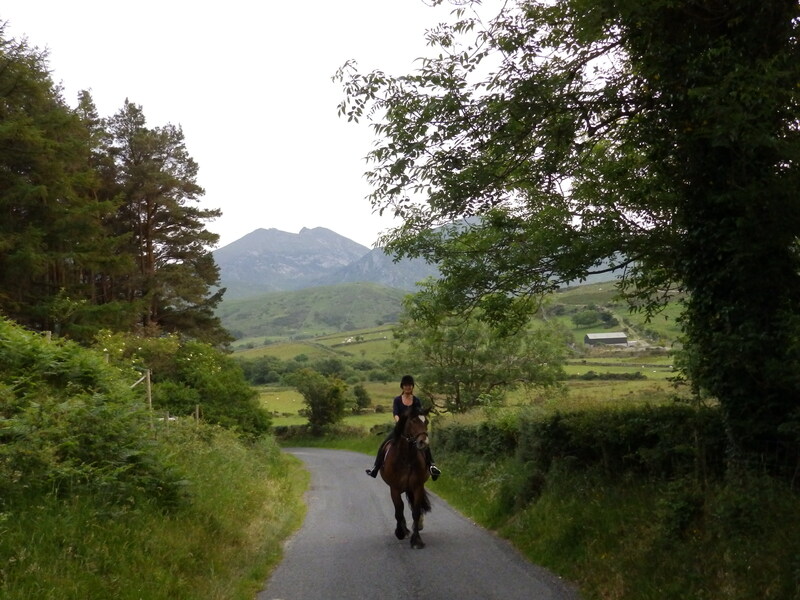 We can also advise about organised rides on behalf of ILDRA that are happening in this part of County Down. These rides are are open to both existing ILDRA members and non-members and are great if you wish to have a pleasure or trail ride in a group or the opportunity to make new friends.